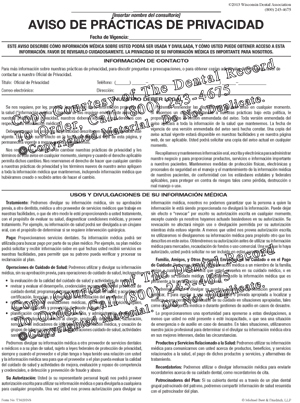 The Spanish Medical History form tracks vital information pertaining to adults. 100 forms per tablet. 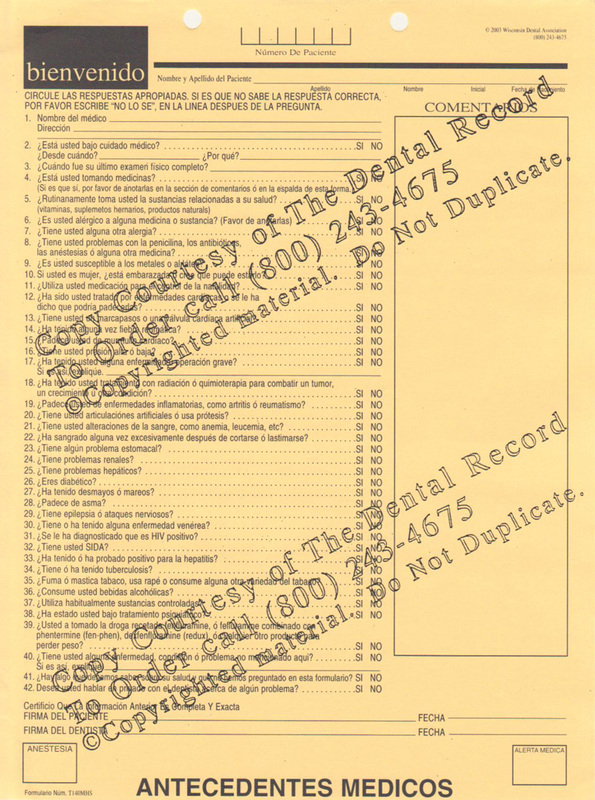 This form provides medical information through the use of a series of questions designed to generate a "no"" response. This form also includes a medical alert box and an anesthetic box. Tablets of 100 single-sided sheets, pre-punched and cut to fit."